Klaviyo helps growth-focused brands drive more sales with super-targeted, highly relevant email, Facebook and Instagram marketing. You can build segments using behavioural and transactional data to target promotions more precisely. 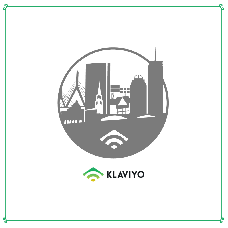 Map out the ideal customer experience and lay out your customer journey end-to-end with Klaviyo's intuitive drag-and-drop builder. A/B test and optimize automated emails – whether it’s experimenting with different content, subject lines, or timing of emails in a series. Klaviyo lets you split and branch emails within a series, so you can send each customer down the right path. And there is much more. 1. All the relevant data you need to personalize your marketing. 2. Use pre-built integrations and add any custom property to build stronger customer relationships. 3. Set-up abandoned cart emails in minutes, then optimize with advanced splits and filters to target your messages. 4. Create real customer interactions - quickly create signup forms to start collecting emails then use the multiple targeting options to collect more information - all without any coding. 5. Measure success - get high-level metrics to see how email contributes to your bottom line then dig deeper into your customer data with churn risks and lifetime value. The price featured on this page is for the integration with the service that we'll do for you. After that, additional fees will apply, please check the pricing page.